Must-read suspense at its BEST PRICE EVER! Leo Drake, the “Mad Monk of Monkcrest,” is notoriously eccentric and unquestionably reclusive. But he is also a noted antiquities expert, which is why Beatrice Poole has demanded his assistance. The freethinking authoress of “horrid novels,” Beatrice is searching for a mythic treasure she suspects played a role in her uncle’s death…. 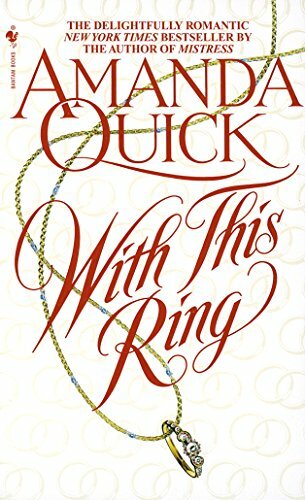 The post <p style="text-align:center;font-weight:bold;">Don’t miss out on this deeply discounted treat from beloved bestselling author Jayne Ann Krentz, writing as Amanda Quick: <em>With This Ring</em> by Amanda Quick</p> appeared first on Kindle Fire on Kindle Nation Daily.